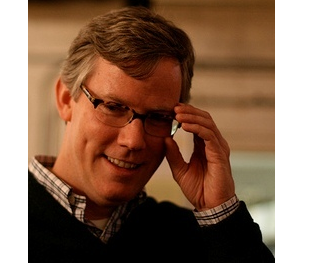 Brian Halligan is author of two books: Marketing Lessons From the Grateful Dead and Inbound Marketing: Get Found Using Google, Social Media, and Blogs. 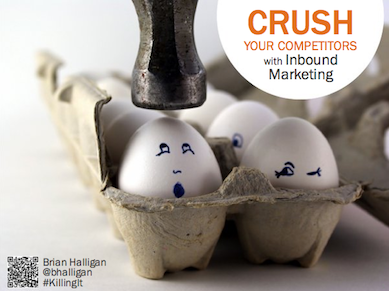 Marketing professionals interested in using inbound marketing to beat their competition. Internet connection and computer speakers for audio. When it comes to marketing, performing better than your competitors is surely on your radar. You must be thinking about ways to attract more followers and business revenue than your competition. In this webinar, HubSpot's CEO and co-founder Brian Halligan discusses how you can use inbound marketing to beat your competition. Understand what strings you need to pull in order to crush your competition, from increasing your visibility on the web to converting visitors into leads at a higher rate.